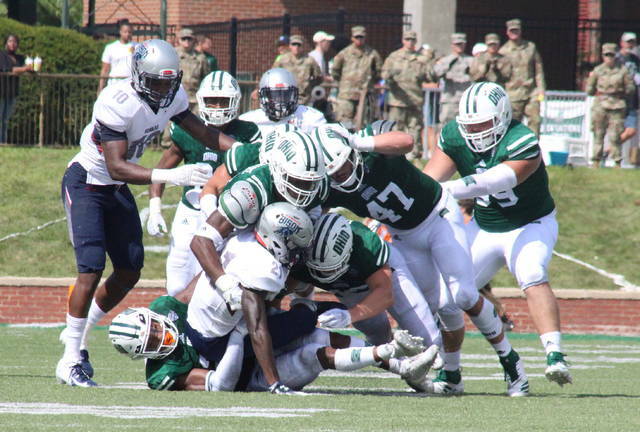 With the opening Saturday of college football in the books, the Ohio University and Marshall University football teams are both off to 1-0 starts. 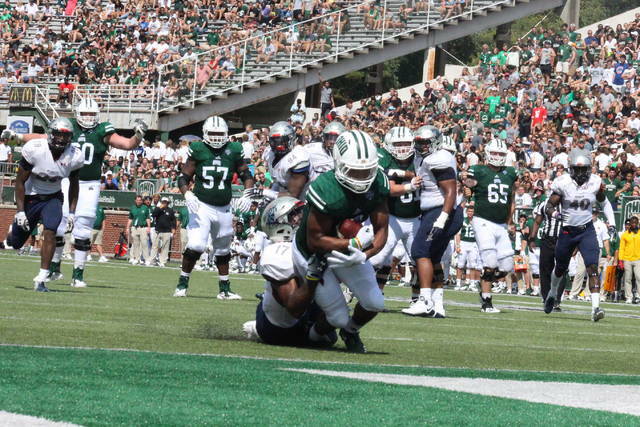 The Bobcats, playing at home in Peden Stadium, came from 13-points down to defeat Howard University — an FCS school — by a 38-32 count. Ohio was outgained by 223 yards, but won the turnover battle by a 4-0 count. 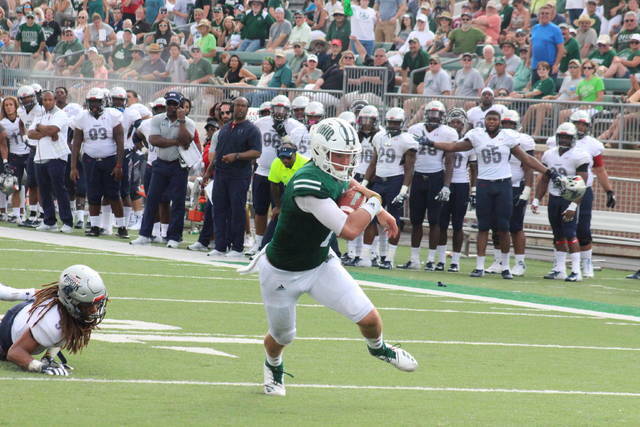 Ohio quarterback Quinton Maxwell was 17-of-25 passing for 223 yards and two touchdowns, while adding 21 yards and two touchdowns on eight rushing attempts. Papi White had a team-best eight catches for 154 yards and a touchdown, while A.J. 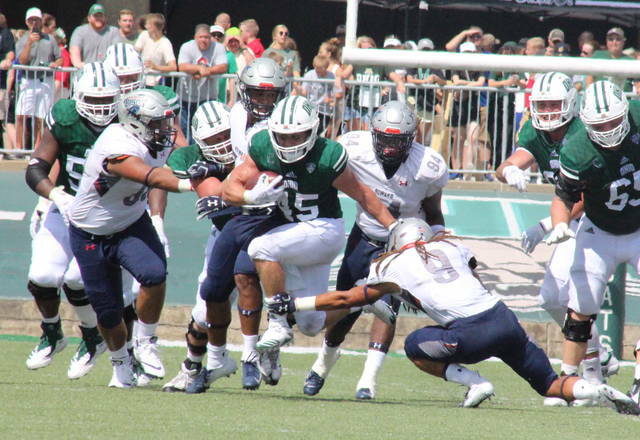 Ouellette led the Bobcat rushing attack with 59 yards on 17 carries. The Thundering Herd opened the year in Oxford, Ohio, where they led by as many as 21 points and wound up defeating Miami by a 35-28 margin. The Red Hawks claimed a 444-to-443 edge in total offense, with neither team committing a turnover. Herd signal caller Isaiah Green was 24-of-37 passing for 272 yards and two touchdowns, while adding 22 yards on eight carries. 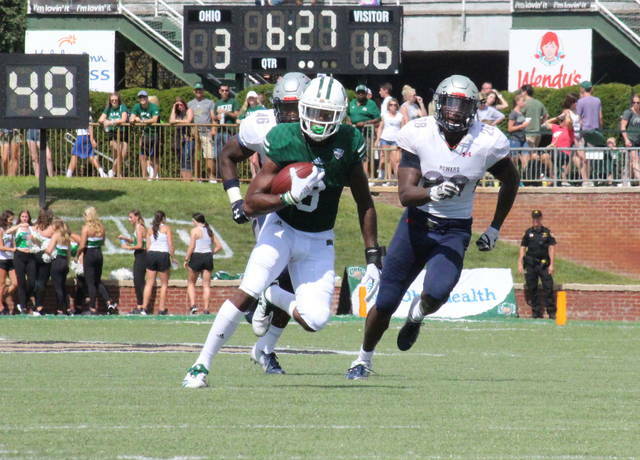 Tyre Brady led the Marshall receiving unit with nine receptions, 116 yards and a pair of scores, while Keion Davis finished with team-highs of 17 carries and 76 yards. Davis scored once on the ground, while Anthony Anderson had a pair of rushing touchdowns. A complete recap of Ohio’s season opener and Marshall’s season opener will be available in Wednesday’s sports editions of the Gallipolis Daily Tribune, Point Pleasant Register and The Daily Sentinel.